Click on the application form below & return it to the school. 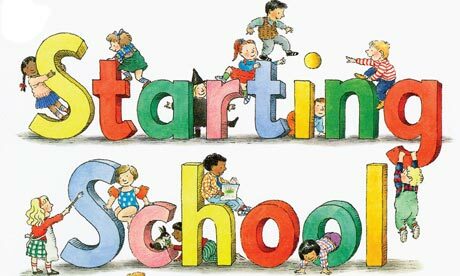 Here are some tips to help prepare your child for Junior Infants. Ensure that your child can use the toilet by themselves and knows how to wash and dry their hands after using the toilet. Practise putting on and taking off their coat. Your child will need to be able to do this by themselves. Zips and buttons will need lots of practice! Choose a lunchbox that your child can open and close themselves. Practise opening and closing lunchbox. Practise opening and closing your child’s schoolbag and taking out items from pencil case and replacing. Your child will need to be able to do this independently. Write your child’s name on all of their clothes, books, copies and stationery. It will help your child greatly to be able to recognise their own first name. Most importantly, talk to your child about who and what to expect in school. This is especially important to children who have not done a pre-school year. Explain some of the basic school rules in advance of starting, for example, sitting down, listening to their teacher, trying their best, putting up their hand to get teacher’s attention. Talk to them about any worries they might have. Remind them of all the fun things they will do and learn in school: songs, stories, games, making new friends, art etc. Extra underwear, socks and tracksuit bottoms in a plastic bag with your child’s name on it. This is in case of toilet accidents or child being sick. Having these on hand can save a lot of distress and embarrassment for the child. A lunchbox the child can open and close independently, so that they can take home any uneaten snacks/lunch. An old oversized shirt / T-shirt for art lessons / messy play. This will help protect their new uniforms. Looking forward to meeting you all in September! For information about Early Start please call 01-8421314.